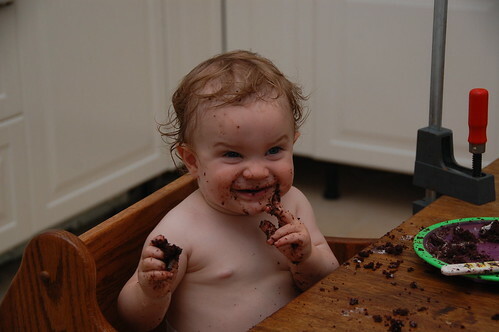 Kids and Cupcakes: Devilishly delicious! It's impossible not to laugh when looking at this, right? "Baby eating Chocolate Caramel Seduction Cupcakes" by my_amii.